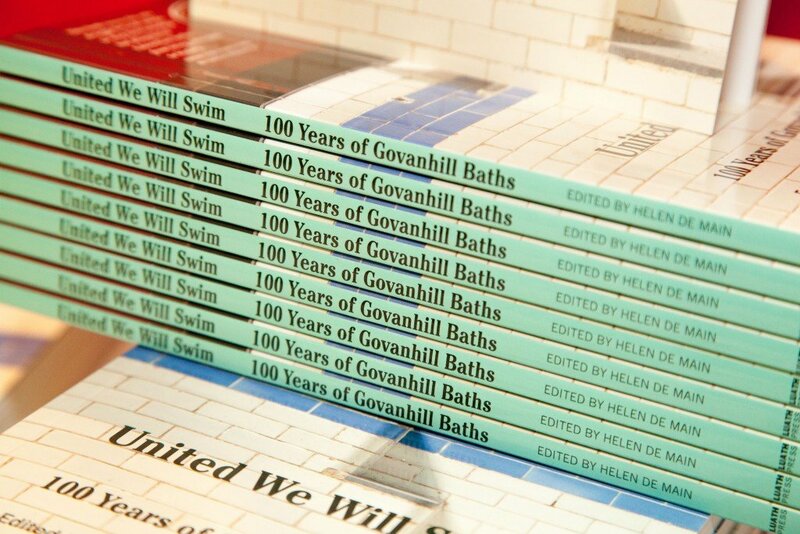 In 2014 Govanhill Baths celebrated 100 years since the laying of the foundation stone of the building. 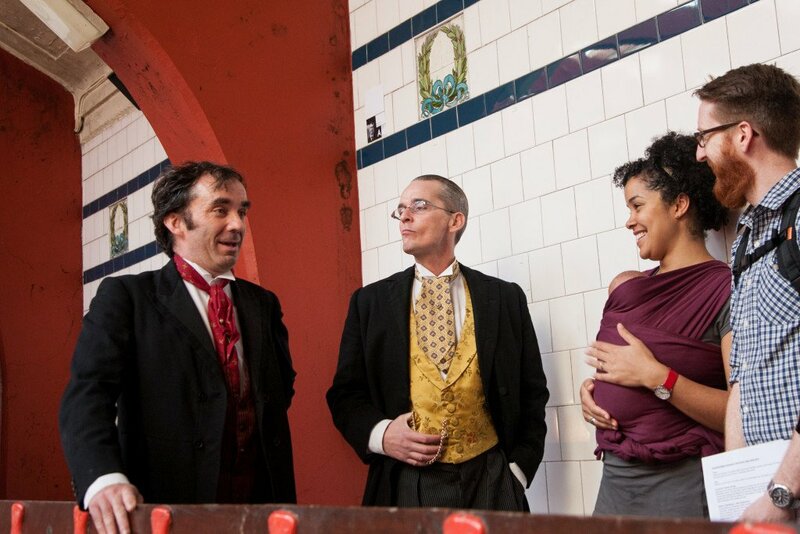 To mark this significant milestone a diverse programme of activities and events has been taking place at the Baths to celebrate and record the Baths rich and unique history and contribute towards preserving the building and its memories as a community resource for future generations. 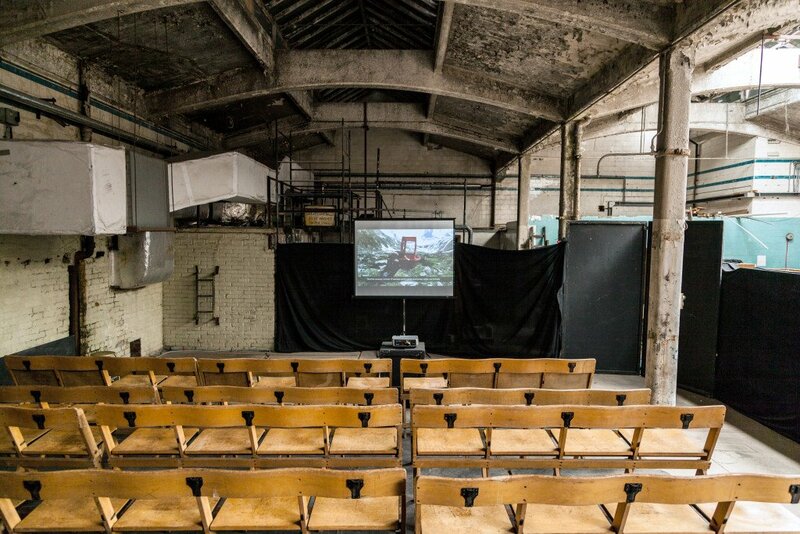 The project has included an extra special door open days, setting up an archive, artist in residence, exhibitions, publication, theatre production, tours and workshops. The project is supported by Heritage Lottery Fund and Glasgow City Council. To coincide with Govanhill Baths Centenary, artist Ailie Rutherford worked within the Baths and the surrounding area. Her focus was to look towards the next 100 years, postulating on what role the Baths will play as a central hub and how local community might develop by 2114. Through a series of discussions she invited local groups to talk about possible futures. 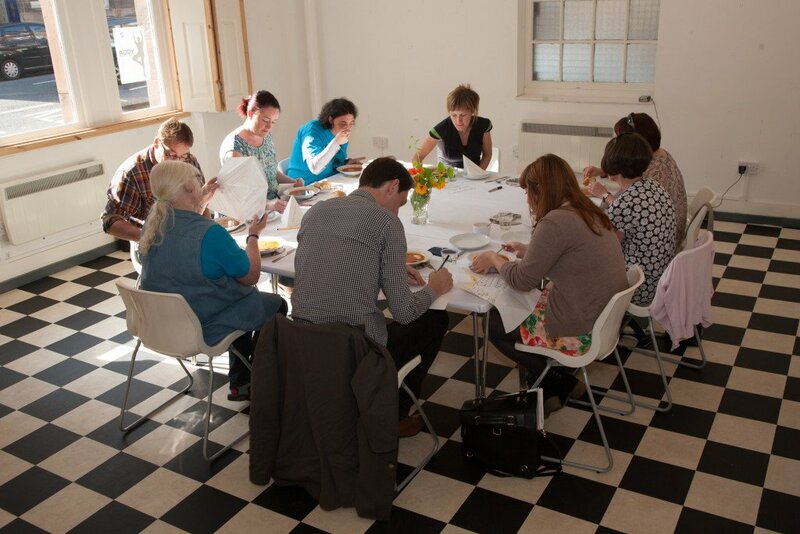 These conversations informed the creation of a new artwork Future Archive for Govanhill Baths. The new archive objects included a Talking Soap and Paper note for the People’s Bank of Govanhill. 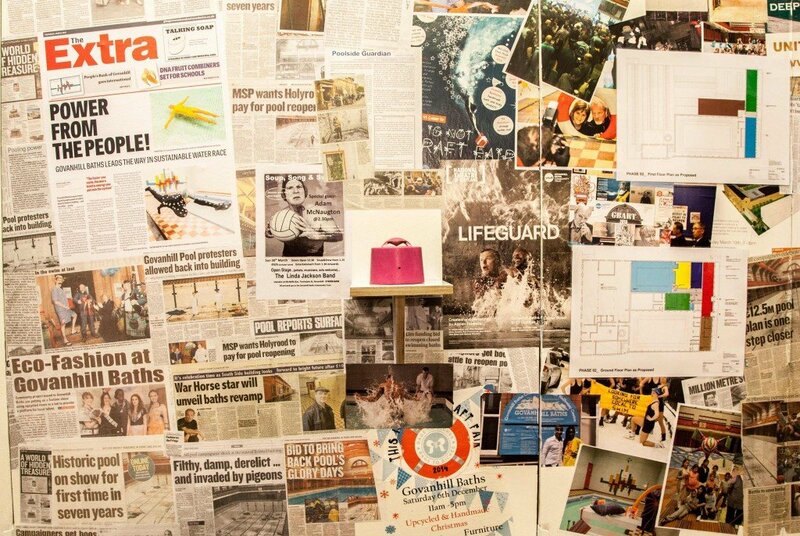 Inspired by the campaign to keep the Baths open, this multi media art exhibition Endurance celebrated endurance within the arts. Organised by Govanhill Baths Art and Regeneration Team and curated by Olivia Guertler and Joanne Neill. A new archive has been being established from the collection of objects, documents and stories that tell the story of the Baths. We are working with a professional archivist to assemble all this information and make it accessible to the public via the Trust’s website and a new permanent exhibition space at the Baths. 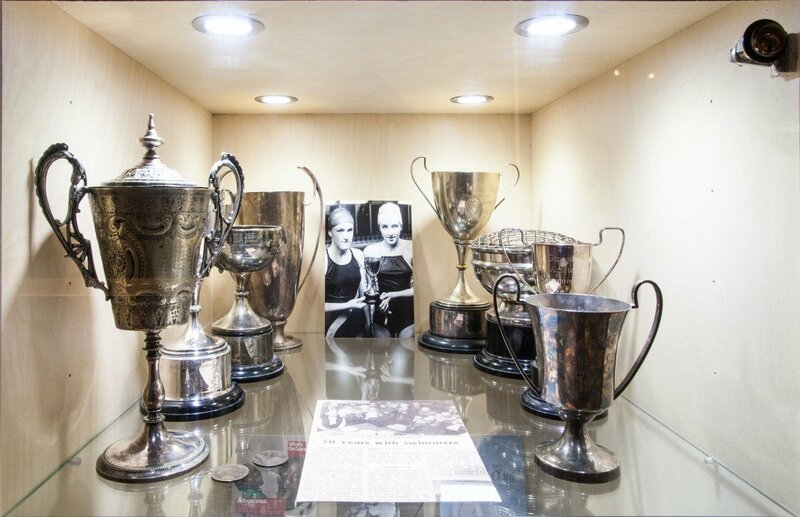 United We Will Swim commemorates the centenary of the Baths and tells it’s fascinating story – past, present and future. Made up of newly commissioned essays exploring its architectural heritage, its role as a community health and wellbeing provision, as well as laying out the dynamic plans for the future, this publication reflects the rich and diverse story of the Baths and the community that it serves. United We Will Swim is published by Luath Press. It is available to buy from the Baths, at www.luath.co.uk and in selected bookshops. The Battle of Calder Street created by Govanhill Theatre Group was a celebration through drama, poetry and music of one of the most enduring community campaigns in Glasgow’s history. 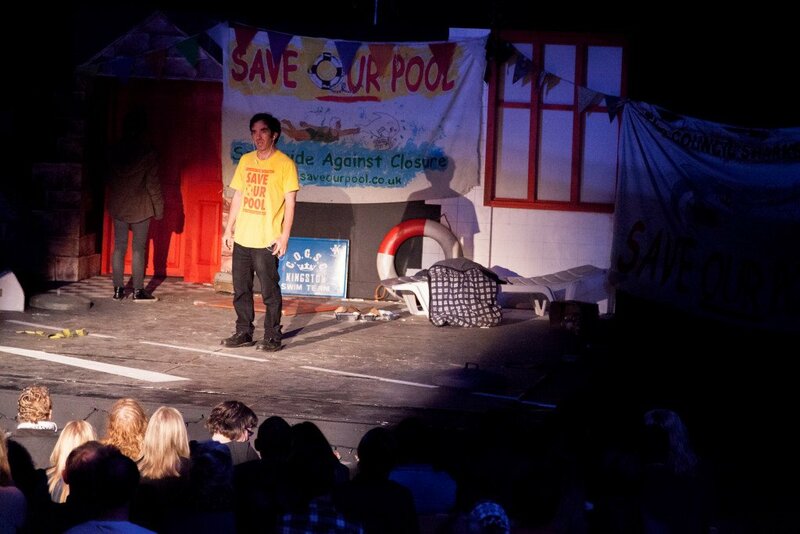 The occupation of Govanhill Baths in 2001 by local people, enraged by its impending closure, marked the beginning of the campaign to save the building for the community. The play brought to the stage the spirit and passion of those important days and showed what can be achieved when local people fight back and a community comes together. A short documentary film that tells the story of a community fighting back against a short sighted local government intent on closing a highly valued community resource. The film tells the inspiring story of what a community can create if it comes together and takes matters into it’s own hands. The film is produced by Camcorder Guerrillas with support from the Trust. Rags to Riches project collaborated with Twa Burds Soaps to deliver a series of workshops inspired by the carbolic soap found at the baths. Using images collected by the baths archivist, a small range of soaps along with upcycled packaging were created. Betty Spoke will be leading upcycled swimming cap workshops inspired by the vintage era. Participants will create 2 caps; one to take away and the other creation will feature in Rags to Riches fashion show in May.